German site Curved Labs has brilliantly reimagined some classic mobile phones from the days of yore into up-to-date smartphones we'd be happy to pick up and use ourselves. 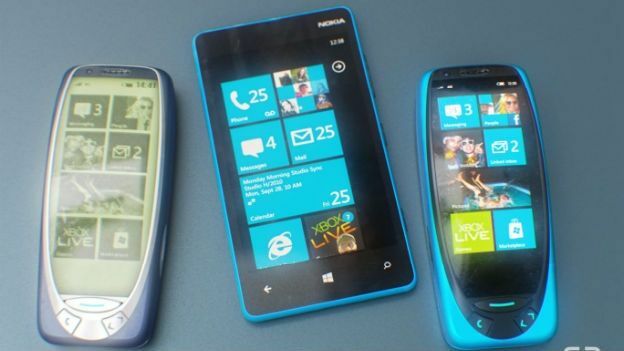 The Nokia 3310 has been brought up to date with a larger screen running Windows Phone and a 41-megapixel PureView camera round the back. Couple that with gaming classic Snake and we reckon it's a sure-fire winner. It's probably hard to imagine in our current Apple and Samsung-dominated world how big Nokia was back in those days, but in the year 2000, the 3310 was the blower to have. Another top handset was the Ericsson T28, which Curved Labs have updated with Google's Android OS. But kept the monochrome screen, naturally. Head over to Curved Labs to check out even more images.